New Deal Post Office, Blackshear. © Brian Brown 2011. This circa 1938-40 structure is one of many “New Deal” post offices built by the Works Progress Administration (WPA) during the Great Depression. I’ll be documenting them from time to time. 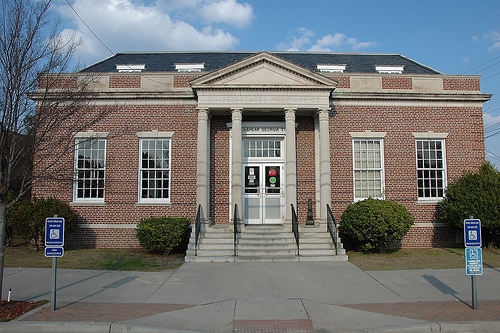 Most were solidly built and remain in good condition, but recent trends with the Postal Service could spell closure for many of these historic buildings.